I've been looking for a good red stamping polish for awhile. Most of the red polishes I own, stamp pink instead of red. 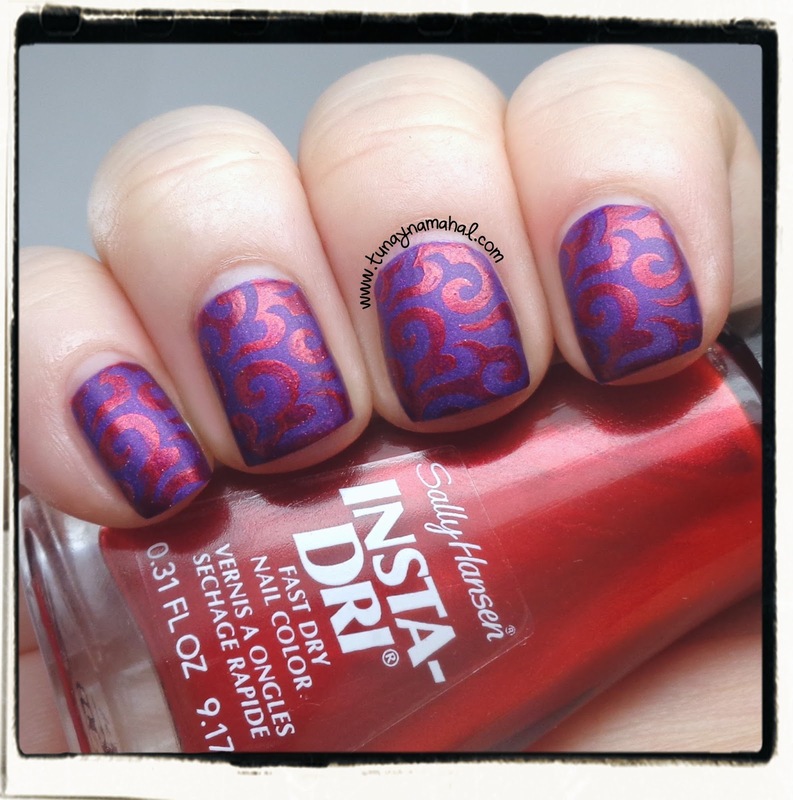 I belong to a stamping group on Facebook and was told Sally Hansen Insta-Dri in Red-io Active is a good red polish to stamp with. I found it at CVS last Wednesday. I wanted to test Red-io Active over a dark color, so I used it over Zoya Matte Velvet: Savita. I stamped with Winstonia Store 2nd Gen plate W203. No topcoat. What red polishes do you stamp with?